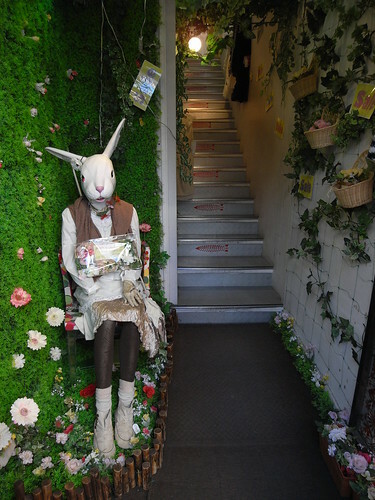 One-Handed Harajuku Rabbit, originally uploaded by Eric Jeschke. Also, very importantly, they may be finally offering a true manual mode. Unfortunately, I don’t see any dedicated AE-lock button, or exp compensation buttons. I’ll have to handle the camera to see what the ergonomics are like. Also, even though it may offer a true manual mode, it sounds like due to diffraction limitations, only two aperture settings are possible. Nevertheless, it could be a compelling serious compact. The F31 took great pictures, but I was often stymied by the lack of a true manual mode in tricky exposure situations.